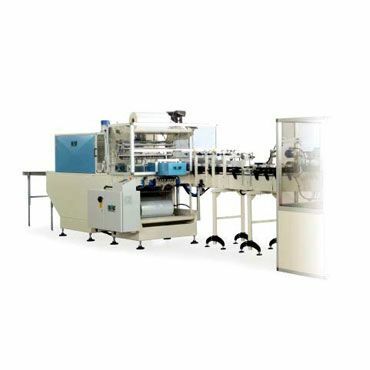 Talpack’s line of packing machines cover a wide range of processing and conveying needs. 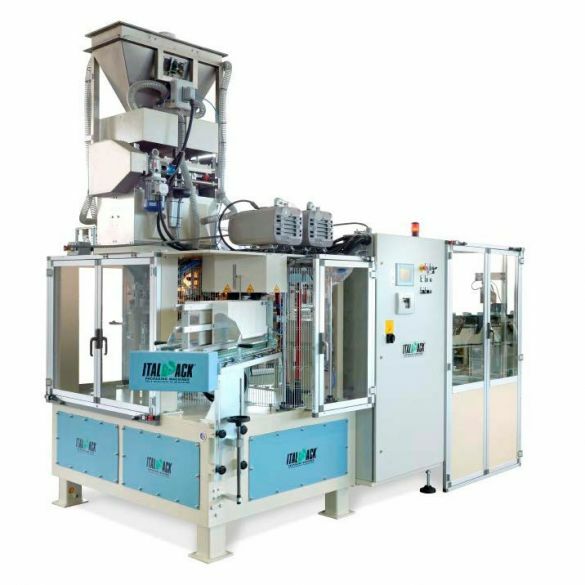 The automatic packing machines in the “PACK” series are manufactured using only the finest quality components and materials in order to guarantee a perfect finished product, both in terms of strength and reliability. The main mechanical parts are enclosed in an airtight chamber and constantly lubricated by an oil bath. All the functions can be easily programmed through an on-board control panel which has its own soft-touch keyboard and LCD display. The display shows all the working parameters as well as the production rate of the packer. The “PACK” series machines are designed & built to the very highest standards and conform to CE regulations concerning health & safety in the workplace. 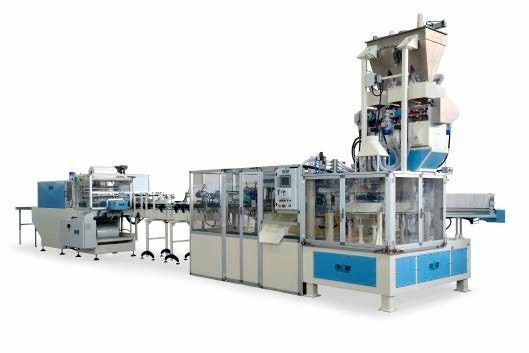 PACK 25 is ITALPACK’s entry level packing machine. Simple, strong, efficient. 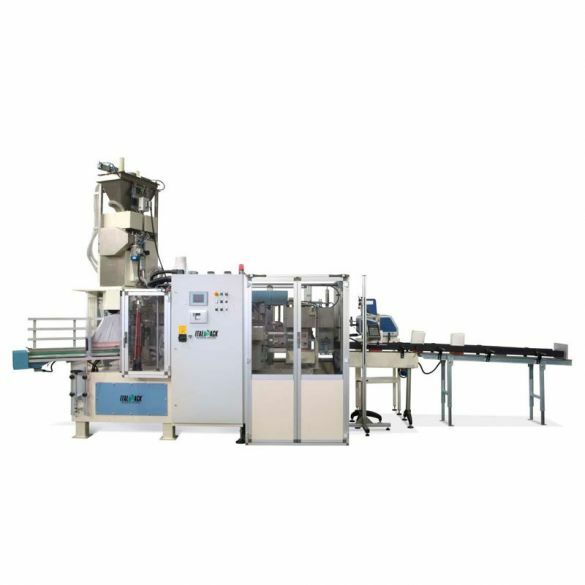 It’s the ideal packing machine up to 25 bags per minute and presents all of ITALPACK’s pro features of reliability and technological know-how. 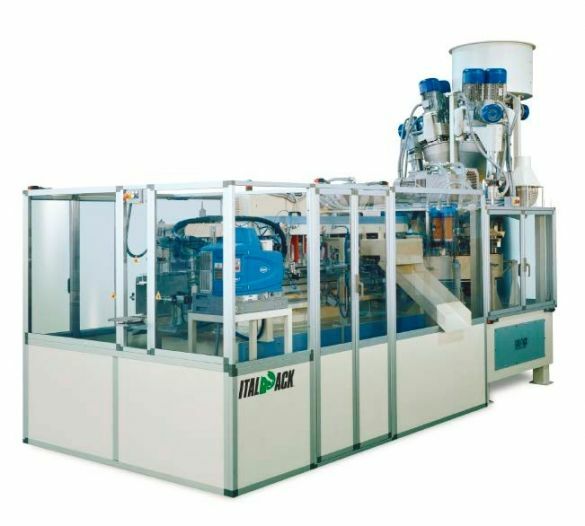 PACK 50 is ITALPACK’s medium capacity packing machine solution. Simple, strong, efficient. Capacity can reach up to 42 bags per minute. PACK 100 is designed for high capacity requirements and can fill and close two bags at the same time. Production capacity can reach up to 80 bags per minute. 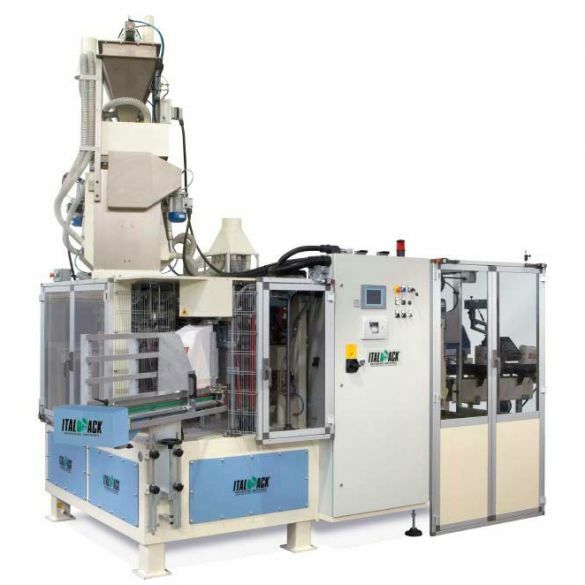 PACK 100/M remains a very flexible packing machine as it can handle bags that vary from 1000 to 2500 g but with more production capacity by filling and closing two bags at the same time. 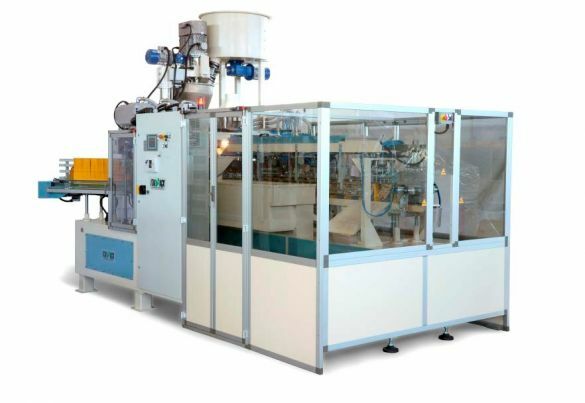 Production capacity can reach up to 65 bags per minute. 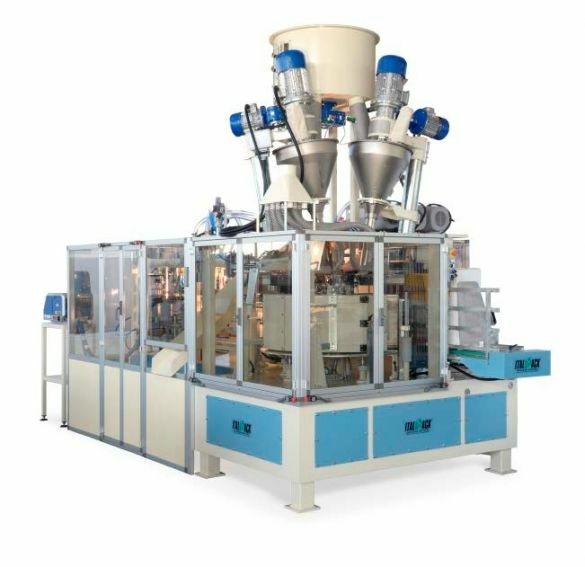 PACK 100/S combines both the use of two twin auger dosers together with filling and closing two bags at a time to obtain maximum capacity for medium size bags: i.e. 5000 g. Production capacity reaches 40 bags per minute. 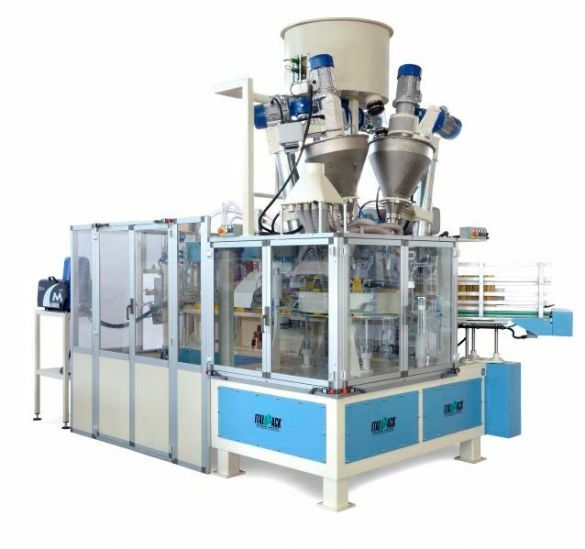 PACK 50/10 is designed to hande medium and large size bags ranging from 2500 to 12500 g and capacity varies based on the chosen configuration. 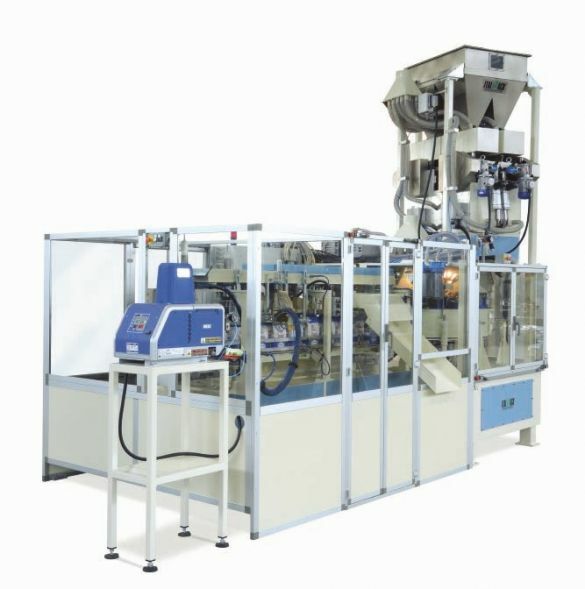 PACK 25 is ITALPACK’s entry-level packing machine. Simple, strong, efficient. 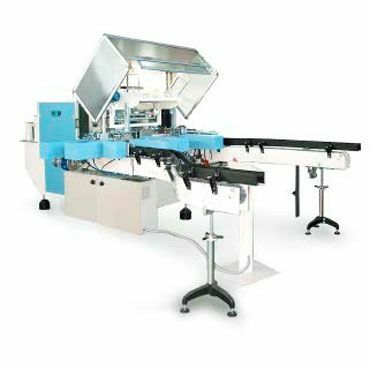 It’s the ideal packing machine up to 25 bags per minute and presents all of ITALPACK’s pro features of reliability and technological know-how. 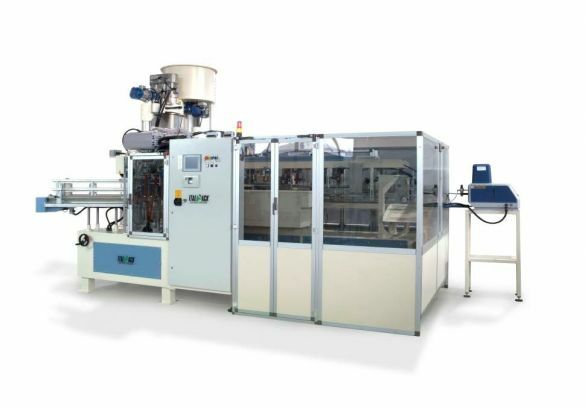 PACK 50 is ITALPACK’s medium capacity packing machine solution. Simple, strong, efficient. Capacity can reach up to 45 bags per minute. PACK 100/3 is the evolution of the “multi-lane”new concept introduced with PACK 100. In this case three bags are filled and closed as the same time allowing to reach a production capacity of 100 bags per minute. 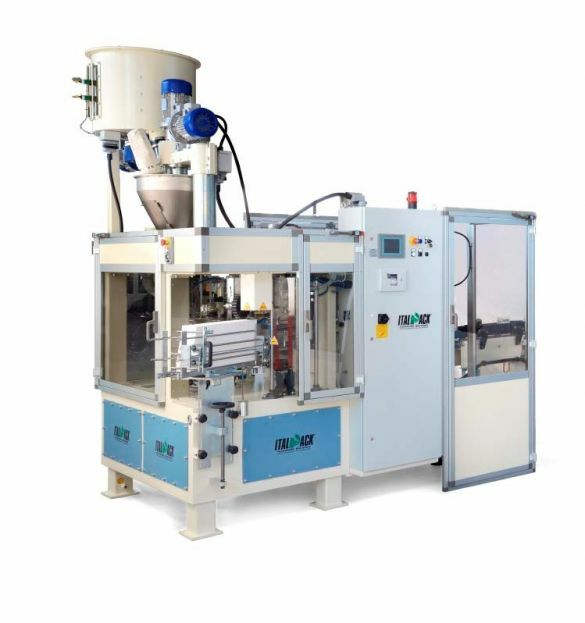 PACK 100/S combines both the use of four dosers together with filling and closing two bags at a time to obtain maximum capacity for medium size bags: i.e. 5000 g. Production capacity reaches 45 bags per minute. 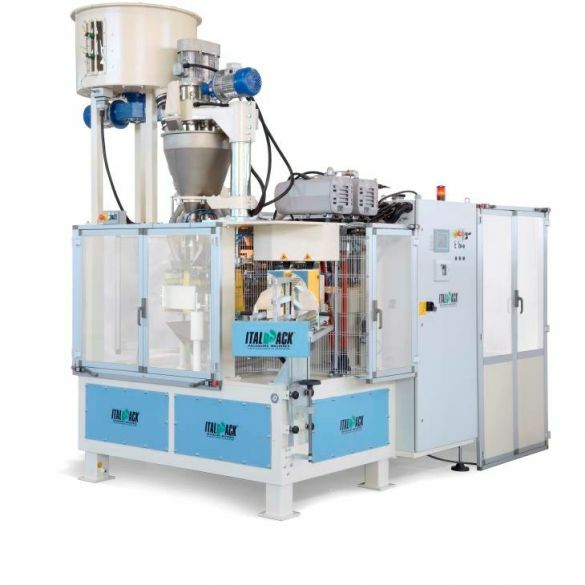 ACK 50/10 is designed to hande medium and large size bags ranging from 2500 to 12500 g and capacity varies based on the chosen configuration. The FM All in One is designed to offer a compact bundling solution. Both the collating and shrink wrap unit and combined in a single frame resulting in a winning choice for small work areas. Customers can choose from left or right hand inlet conveyor belts as will as completely tailored to measure solutions. Output of this specific model allows a perfect combination with the medium and low capacity PACK series of automatic packing machines. 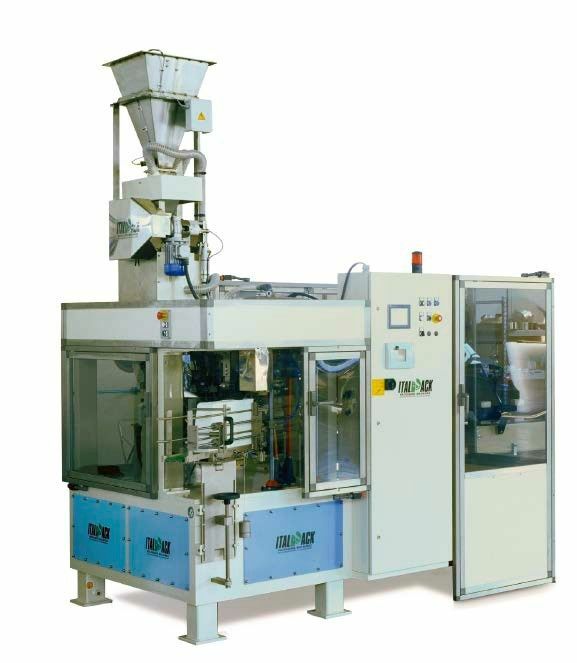 The FPF is based on the same concept as the FM but in this case the collating and shrink wrap oven, longer that in the FM series, are two separate units connected together. 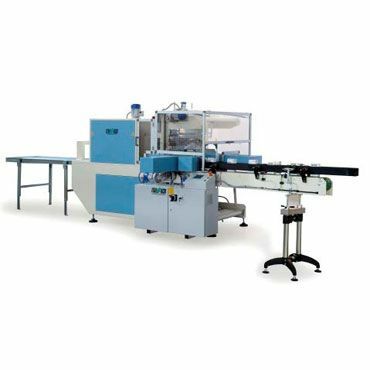 This specific model is designed to match the output of the medium – fast PACK automatic packing machines. 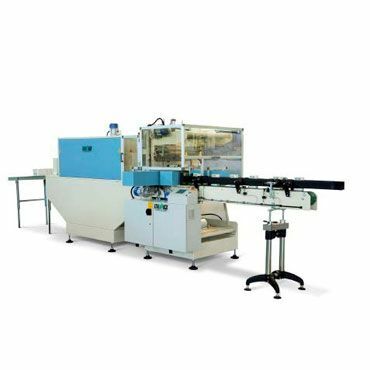 The FPF-V is a high capacity version of the FPF model and allows to achieve the same flexibility and realiablilty of the other models of the series but with a remarkable output capacity suitable to be combined with the high productivity PACK automatic packing machines. 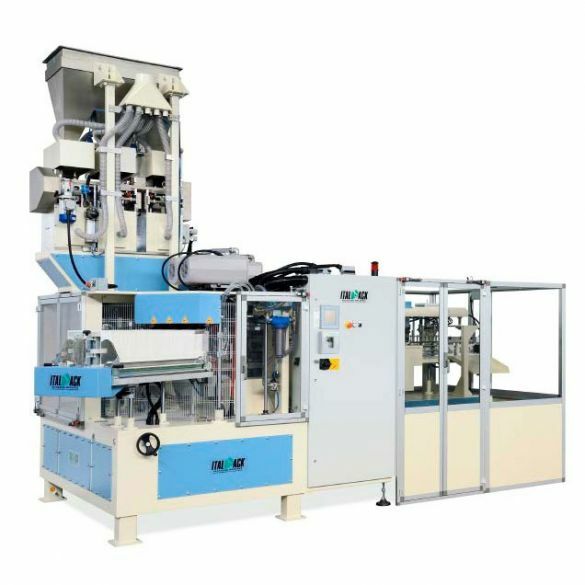 n the event of needing to receive full bags from two different PACK automatic packing machines, the FPF-2 is capable of achieving output capacity and space saving at the same time. A single high speed collating unit receives bags via two separate inlet conveyor belts which can be shaped to customer’s requests. The FPF-IMP is specifically designed to stack and shrink-wrap filled bags once they have been tipped over thanks to a specific lifting and placing device which replaces the traditional collating system.